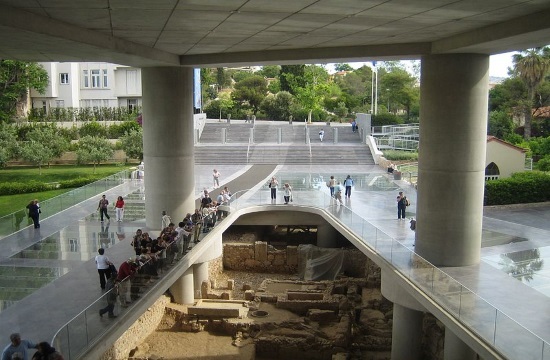 Visitors will have the opportunity to participate in tours of the Museum's galleries that will feature "surprise stops and various discussions in the company of the archaeologists-curators"
Entrance to the Acropolis Museum will be free of charge for all visitors from 09:00 until 18:00 on March 25, a national holiday that commemorates the start of the Greek Revolution against the Ottoman rule in 1821, ANA reports. The hours of tours are: 12:00, 13:00, 14:00,15:00 and 16:00 for up to 40 visitors per tour. Registrations will be available at the Museum's entrance on March 25.